CLICK HERE to GET a PDF of Dec-2015 ‘Digital Marketing Tools’ sent right to your mailbox! 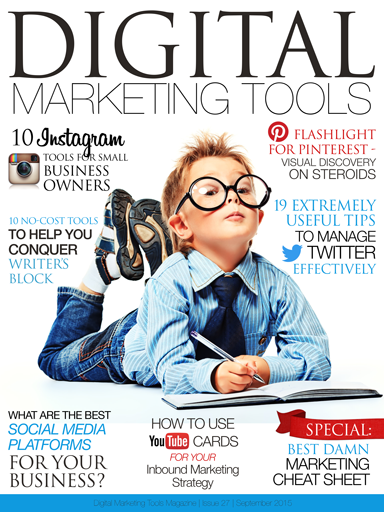 CLICK HERE to GET a PDF of Nov-2015 ‘Digital Marketing Tools’ magazine sent right to your mailbox! SPECIAL: List Building How-to, Tips & Tools! 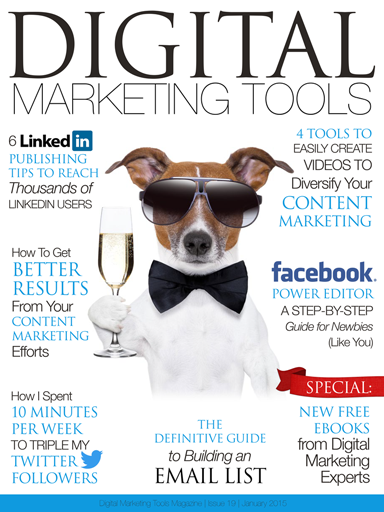 CLICK HERE to GET a PDF of Oct-2015 ‘Digital Marketing Tools’ magazine sent right to your mailbox! 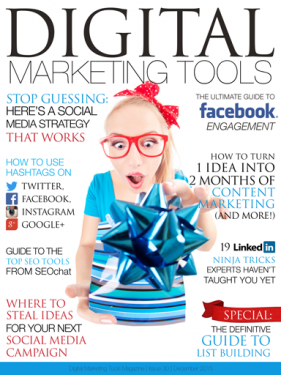 What are the Best Social Media Platforms for Your Business? SPECIAL: Best Damn Marketing Cheat Sheet, PERIOD! 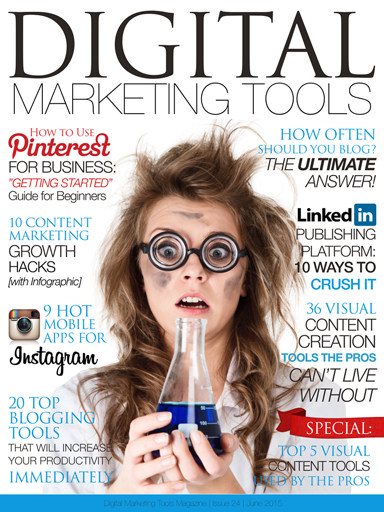 Click Here to Get a PDF of Sept-2015 ‘Digital Marketing Tools’ magazine sent right to your mailbox! 10 Graphic Design Hacks Make You a PRO Designer Overnight! 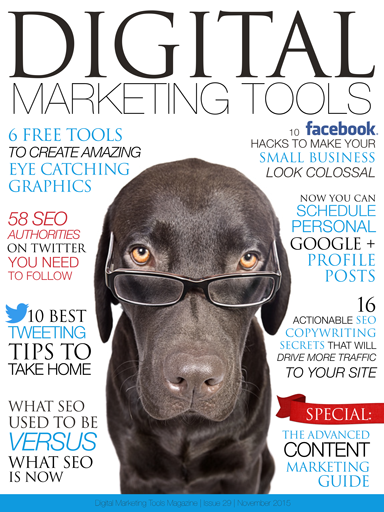 Click Here to Get a PDF of Aug-2015 ‘Digital Marketing Tools’ magazine sent right to your mailbox! 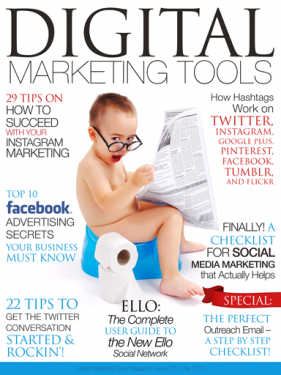 How the New Google / Twitter Deal Will Impact SEO! 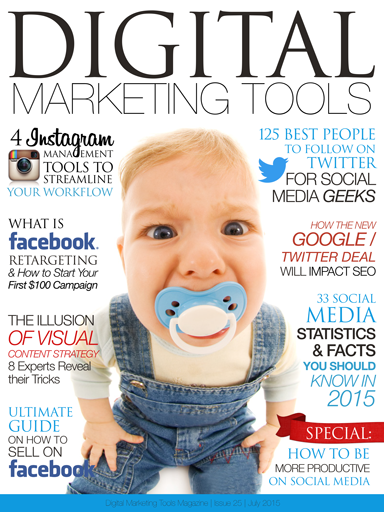 Click Here to Get a PDF of July-2015 ‘Digital Marketing Tools’ magazine sent right to your mailbox! How Often Should You Blog? 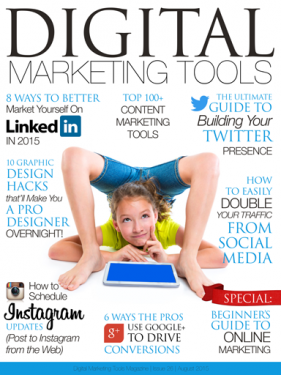 The Ultimate Answer! Click Here to Get a PDF of June-2015 ‘Digital Marketing Tools’ magazine sent right to your mailbox! 22 Tips to Get the Twitter Conversation Started & Rockin’! 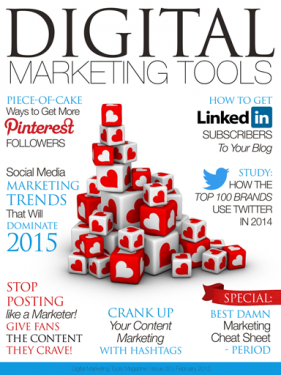 SPECIAL: The Perfect Outreach Email – A Step By Step Checklist! Click Here to Get a PDF of May-2015 ‘Digital Marketing Tools’ magazine sent right to your mailbox! 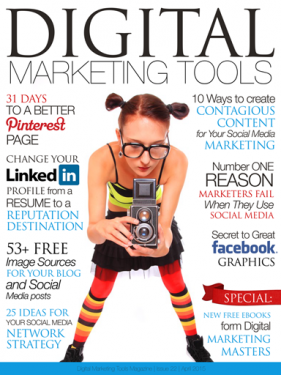 Stop Posting like a Marketer! 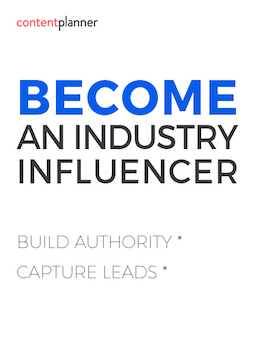 Give Fans the Content they Crave! 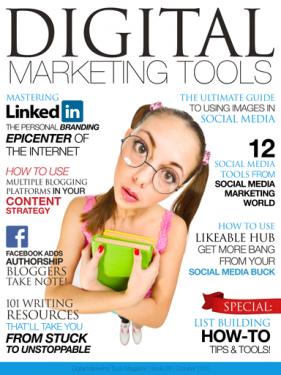 GET Digital Marketing Tools 2017 issues FREE! GET Digital Marketing Tools 2016 issues FREE! 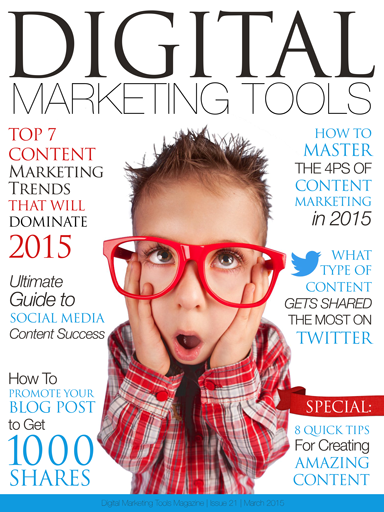 GET Digital Marketing Tools 2015 issues FREE! 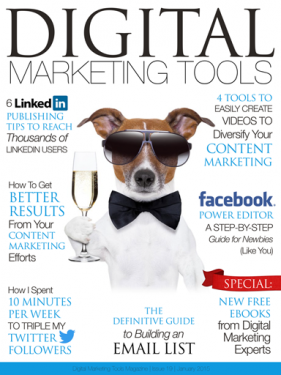 GET Digital Marketing Tools 2014 issues FREE! GET Digital Marketing Tools 2013 issues FREE!